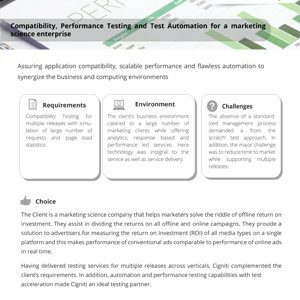 Compatibility testing of an IT system that streamlines over 220 concurrent projects every year for an e-learning company. 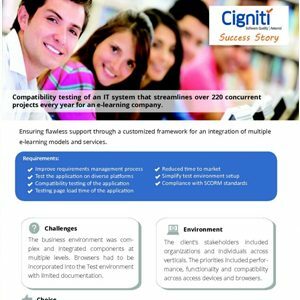 Ensuring flawless support through a customized framework for an integration of multiple e-learning models and services. 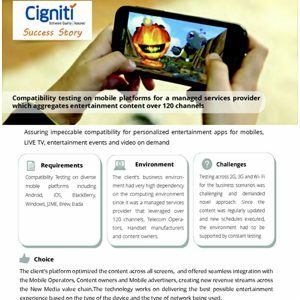 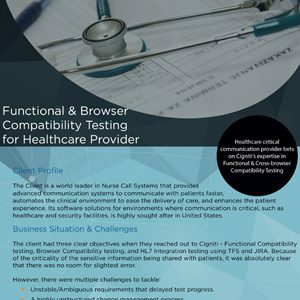 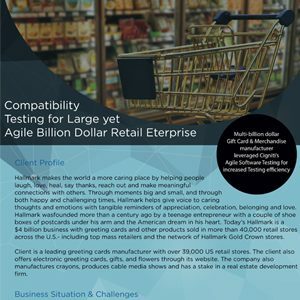 Cigniti delivered Functional Testing and Compatibility Testing for a digital design agency that provides creative services to some of the world’s most well-known companies. 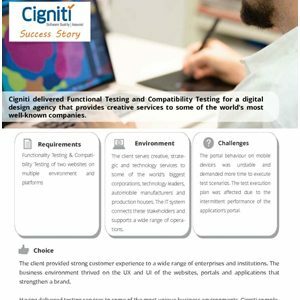 Cigniti delivered Functional Testing and Compatibility Testing for a digital design agency that provides creative services to some of the world's most well-known companies.